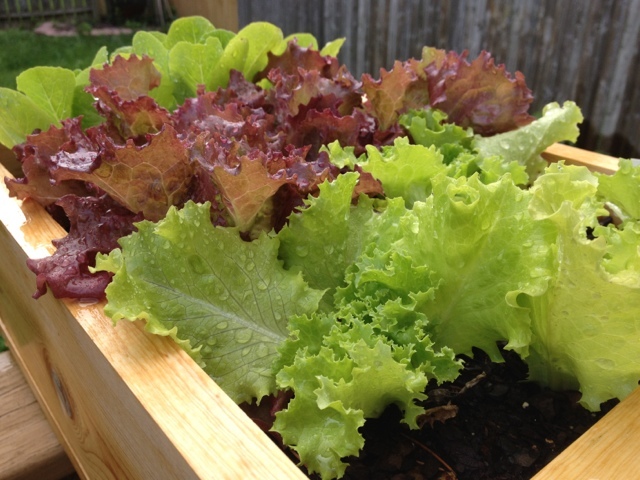 So far this year, the only thing contrary in my garden was the lettuce. I must have planted it too early and it got shocked by the up and down temperatures. Oh well, I bought a few replacement plants and my dad gave me some he had started. Both are doing well. 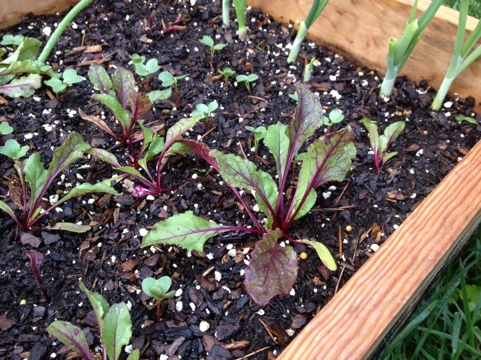 I have also planted plenty of herbs, along with radishes, beets, green onions and broccoli. 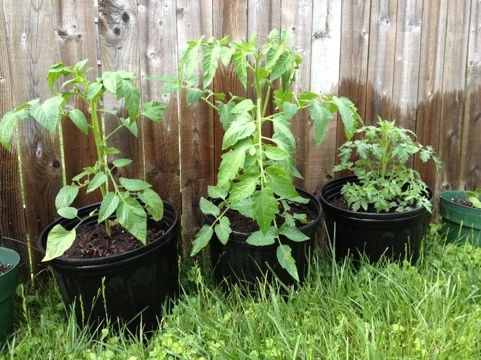 From my parents, I got tomatoes, eggplant, jalapeño and red pepper. 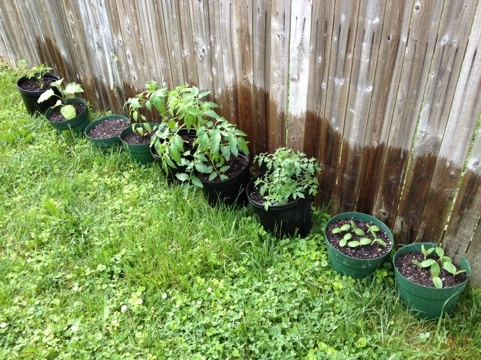 Last week, I planted seeds for yellow squash, round green zucchini and carrots. Hopefully I will be eating well this summer! Just stay away, bugs and squirrels! Too many pots, they were taking over the deck! Time to get some cages for these fellas. 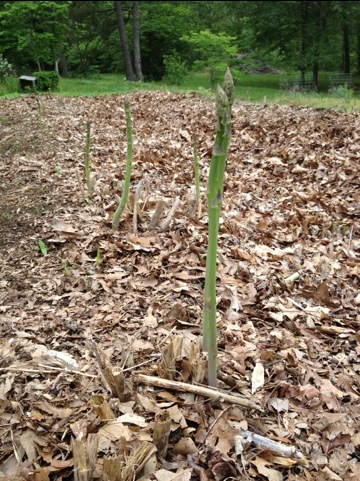 These asparagus are from my Uncle Sal’s house in Stanardsville. 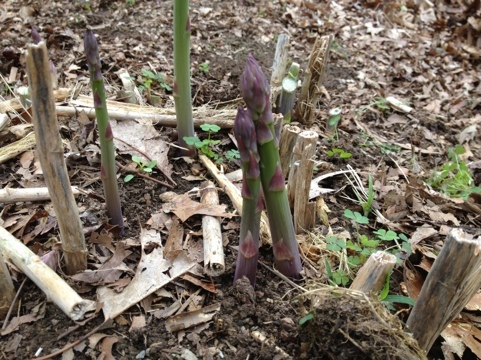 He has a huge asparagus patch that produces in the spring—and in the summer after a big rain. He and my Aunt Margot generously gave my parents and I huge bags of fresh asparagus, along with lettuce straight from their garden. It’s so cool to see how asparagus grows. I don’t know if most people that pick up bunches at the grocery store realize that it comes straight up from the ground in single shoots, not in bunches or on any other type of plant. You can’t harvest it for the first two years either, because the plant needs to gain strength or it will die. Now I have to figure out to do with 2-3 pounds of asparagus. I told my housemates to help themselves, so hopefully they do! I made galette dough with my new food processor, and added half whole wheat flour to make them a little healthier. (I am a little obsessed with individual rustic pies filled with cheese and veggies. I saved half the dough, so I’m hoping to make some with strawberries, or other fruits. Yum!) Here’s a post I did recently about what to do with all the asparagus I’ve picked up from the farmers’ market. But now I’ll need more ideas! Your garden looks great! 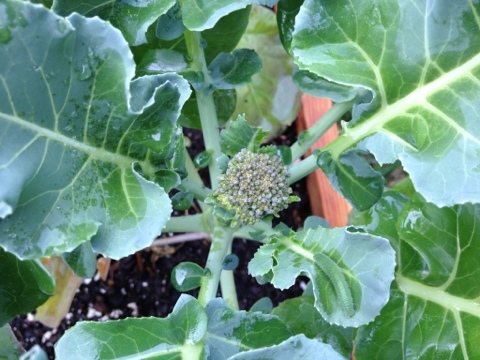 I’m sure you’ll have more broccoli in no time!